A lot of the time we find ourselves dreading the good old word called conditioning! Putting your body through a various amount of semi strenuous and challenging physical activity that leave us feeling fatigued and exhausted. However, instead of opting out or just not pushing yourself think about the benefits that strength and conditioning add to your skill set. When you think about the sport that we do and the amount of potential strain it can put on your body its important to ensure that we have prepared our muscles and our bodies correctly. More often than not you will start to see an increase in strain and wear and tear injuries that over time can turn into dozens of physio appointments, long term pain and potentially having to miss out on activities with in your training sessions having to sit out and watch. 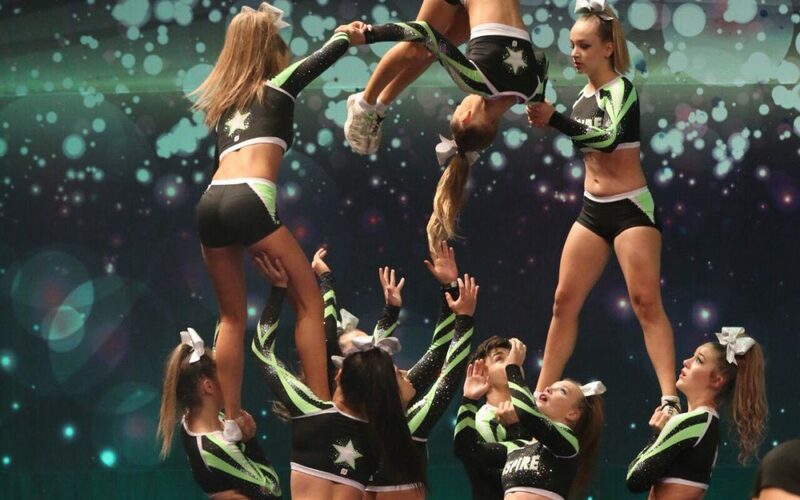 As you increase up the levels within cheerleading the impact on your body becomes higher and higher the force of which you are tumbling and stunting becomes faster paced and requires your to generate strong power consistently for 2 minutes and 30 seconds. The pace of the routine picks up and you don’t have as many breaks as you may have had in the past. You are required to become more of a versatile athlete meaning you may be required to throw and catch things if you are normally a flyer, you may have to jump in the air to assist using your strength for a particular visual in a pyramid section. Now that we have covered some of the reasons why conditioning is important lets talk about the positive benefits you may see outside of the gym. Preparing your body is important but it isn’t just the work you put in at the gym. Increasing your amount of conditioning little bit-by-bit at home will help your progression. So start with 5 Sit up’s a day, 5 Push-ups a day, and a 30 Second plank. Then start challenging yourself add another exercise or just increase the amount of reps you are doing. Remember nothing worth working for is ever easy be will always worth it!